The Legislative Duma of Tomsk Oblast is a standing legislative (representative) body of the government of Tomsk Oblast. The Duma's mandate is to pass laws, make decisions, statements, as well as through its control activity. 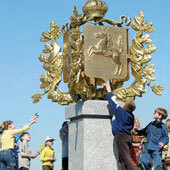 It is financed from the Oblast budget.